There’s a good reason why the Puzzle has a dedicated section (the first one in fact) when you are at Loewe’s online site. Sure, classic pieces like the Amazona and Flamenco are featured as well (both of which have been updated since its inception), but nothing cuts it (literally) quite as well as the Puzzle, a design that was created in its entirety by Creative Director Jonathan Anderson for the Spanish luxury house. Featuring a cuboid shape that’s more than just a design element, the Puzzle is one bag that can be folded completely flat, giving it extra points in terms of function and making for easy storage. This is made possible by the geometric pieces that are precisely sliced and carefully positioned to form the bag, greatly helped by the use of lightweight and soft leather. ‘Conceptual’ and ‘intelligent’ are but just two words used to describe the genius of the creation, with the very first version coming in smooth calfskin leather back in February 2015 in a bold Coral shade. Finished with Loewe’s iconic Anagram logo, a single structured top handle and an extra adjustable strap, the Puzzle can be worn in 5 different ways. Across the body, as a clutch, carried like a handbag, slung casually over the shoulder, or even worn behind like a one-sided backpack, which is mind-boggling just for one bag. 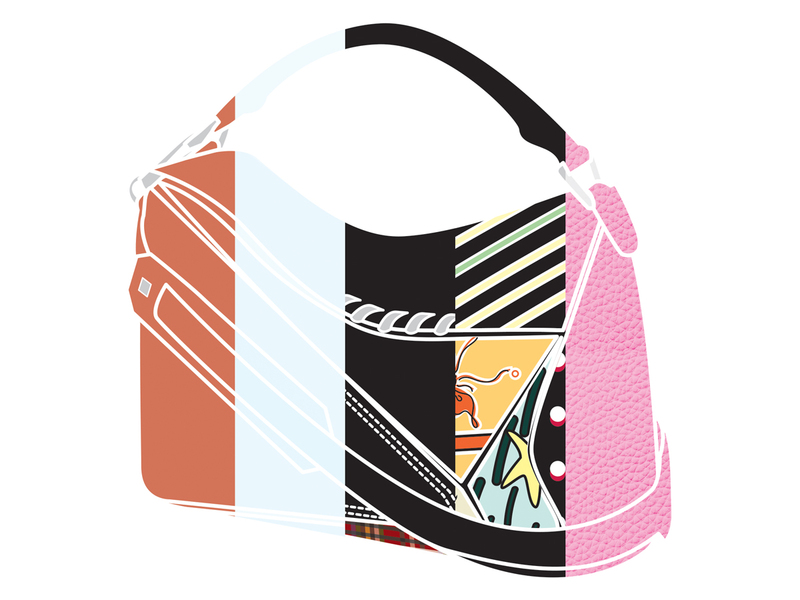 Over the years, the iconic bag has seen its fair share of seasonal variations and designs. In 2016, Loewe released the bag in a number of unique materials like mesh, exotic mink, rubber and transparent PVC, a material that’s all the rage right now. 2017 marked another milestone for the Puzzle, one that saw the launch of the Puzzle just for men, that was a larger messenger style sans top handle. It was also the year that Jonathan Anderson chose to play with the panels, dressing the bag up in a mix of colours and materials, one of which included a gorgeous combination of tartan wool geometric cut-outs, leather and suede that were all finished with stitched detailing. After a successful summer capsule with Paula’s Ibiza, Loewe brought back the collaboration with the iconic boutique for Spring-Summer 2018, dressing up the signature Puzzle with the boutique’s archival prints. The result was an eclectic piece that showcased varied print motifs on the panels, making for an interesting and unique piece that was perfect for collectors and fans alike. This 2019, following the success of the Mini Gate Bag, Loewe has introduced an all-new size for the Puzzle, the Puzzle Mini that measures 18 cm by 12.5 cm with a depth of 8 cm. Coming with a scratch-resistant grained finish, the bag comes with all the makings of becoming everyone’s wardrobe staple, from the miniaturised top handle to the extra shoulder strap that has a length of 115 cm. Available in 6 different colours like Raspberry, Scarlet Red, Tan, Wild Rose, Varsity Blue and Yellow, the Mini Puzzle is available in boutiques and priced at SGD2390. If, however, you’re all for the bigger sizes, the Puzzle also comes in Small (24 cm by 16.5 cm), Regular (29 cm by 19.5 cm) or Large (36.5 cm by 23 cm), with all-new Spring-Summer 2019 designs now in stores across Loewe boutiques islandwide.